Its awesome using Android devices, but making apps for Android devices are even better. Here I collected some stats of Android developer and Expert guide to make Android Apps better. Hello folks there. The word android means freedom, as I feel same on Linux/Unix. Being Opensources and awesome platform for powering millions and millions of Mobile device, this Android is doing better than all in many senses. 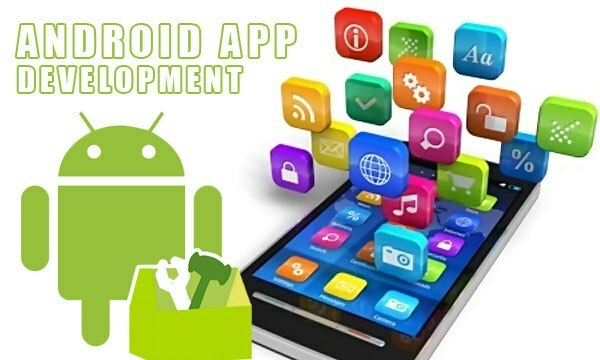 People can easily develop the apps for android devices, all they need mind blowing idea and some coding, that’s it. With help of Open source library, most of the codes can be obtain from there and you need to modify/implement them. Before I suggest you how to make better Android apps, I would like to figure something which you’ll love to know. 60% of Apps on Google Play is developed by Full time Developers. Almost 50% of the developer produces apps for tablet as well as mobile. Being open sources 93% of the apps on Google Play is Free. More than 25% apps tested on Higher android version, rest 21% on Android 2.2 and 55% on Android 1.5. Developer testing their apps on Screen resolution varying from 600*300 to 1200*1900. Yup these are mind blowing one, the biggest community of Android where all the user are directly or indirectly connected as developer or user, this post is dedicated to usres who want to develop and newbie developer who need/thinking of developing better and better android apps. Keep tracking the new apps specially of your interest, keep digging, good bad and try your idea to add something or remove something to make the app lighter, faster and more to deliver to users. You can use their source code or get some basic codes for your own too. Don’t forget to appify your dream and make your dream apps and introduce something new amazing to this world. Android and most of its code is freely available to download, you don’t need to develop new module every time, enjoye code library and re-use the most stable version of modules and kernel from the vast library of Android. Don’t forget to check if the code you are using, support latest android OS. If you are one individual or small team, alpha testing is not upto the mark, better you select some of your geeky or curious contacts and send the apps to them for beta testing. Beta testing is basically testing the application to large and real user community. Collect the bugs and pitfalls from their use and give some more time to fix them before you submit it on Google play or make it available for world. Its good idea if you implement services in your apps which collect and assist the bugs in it. It should send this to you time to time, you need to check/fix these and update the application for better and more stable use. Being open sources, Android grows very fast. Newer version launches frequently with small and larger changes. To sustain your app in future and how you implement newer version of your apps, don’t forget to study the changes between different versions of APIs of android and plan accordingly. You can use the Android community to distribute the builds of your app for specific devices and test them to get feedback. The XDA forum is a great place to kick start. Google play has implemented the amazing feature in it, now developer can replay to individual comments on the apps page. This will help every developer as well as user to better understand each other and of Corse this will let you develop application with wider ideas. It’s great to get the instant feedback for developer and don’t have to wait for weeks and weeks, so hoping you just not get aware single apps but you need to create an amazing strategy to your better app so it should rock the store. And I’ll provide review to your app on my Blog too. Go ahead. Share this post with your friend and work together and give us feedback below. The advance level android guide, wow this is useful and more interesting thing, it will help lot of us making money with invention of useful apps also. Thanks for Linking my post, as per your interest i have mentioned Thenewboston.org where you can find the android application development tutorial and wiziq .com is also one we can choose from. thanks once again for your valuable comment. thanks Lee, great to see your site. develop and expend at the present occasion..
Nice post. detailed step by step information.i learned so much from this. Being an innoppl's app developers Atlanta i really thankful for this information. Your information is really very unique and useful for me..